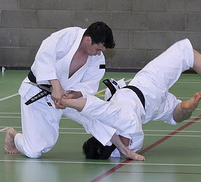 Come along next Monday for a free taster session of Shorinji Kempo. We will be demonstrating a range of elements including group kata, beginner and advanced self defence techniques, sparring and meditation. There will even be a chance to have a go yourself. No experience necessary.